Mohammed Elhaj Mustafa Ali presented two Policy Briefs on the current economic situation of Sudan. Mohammed Elhaj Mustafa Ali is a Lecturer of Economics at the University of Kassala. He is author of an essay for Volume 20 of the African Development Perspectives Yearbook, dealing with knowledge spillovers from multinational corporations’ affiliates in Sudan. He has obtained his Ph.D. in Economics from the University of Gezira, Sudan. The two Policy Briefs were accepted by the Sudan Economy Research Group (SERG) as inputs to the current policy debate about new economic policies for Sudan. According to the available figures, a large proportion of labour force in Sudan is youth with a substantial part residing in urban centres. This reality makes urban youth more vulnerable to unemployment and severely harmed by its negative consequences. However, although urban youth from both genders are greatly exposed to unemployment, reports demonstrate that the exposure of females to this risk is quite higher compared to males. These facts raise two important policy questions about: (1) What policymakers should do to provide Sudanese urban youth with more job opportunities? And, (2) What are the workable policy options which need to be implemented to give females a fairer share in job opportunities? Various policy actions can be proposed to decrease the number of the unemployed among urban youth, especially the females. These actions include initiating programmes on technical and vocational education, conducting vocational training schemes, and adopting affirmative policy actions in the form of employment quota systems. Sudan is one of the developing countries that is endowed with abundant resources. However, these resources, i.e. arable land, water, cheap labour, and favourable climatic conditions, cannot work in isolation from other essential factors of production, on the top of them being an adequate amount of capital. This is because the country's domestic savings are far less than necessary to cover the capital needed to put the economy on the track of sustainable economic growth and development. The heavy reliance on low-productivity agriculture, the failure to channel domestic savings into domestic financial institutions, in addition to the customs that encourage luxurious consumption among the middle class, have greatly contributed to the widening of the gap between capital needed to initiate a real development process and the savings which are mobilized from domestic sources. Therefore, in the light of the unfeasibility of other external sources of capital, such as borrowing, aid and portfolio investments, the only accessible channel to fill capital's gap in Sudan can be achieved by hosting larger amounts of FDI (Foreign Direct Investment). However, the question arises to what extent Sudan can attract this FDI? In other words, what are the key factors in determining the ability of the country to be a favourable destination for FDI? The flow of foreign capital in the form of FDI is not an end itself. It is a means to provide the country's economy with an adequate volume of capital that helps in accelerating the process of economic growth, elevating exports, promoting imports, as well as facilitating the reduction of the high unemployment rates. 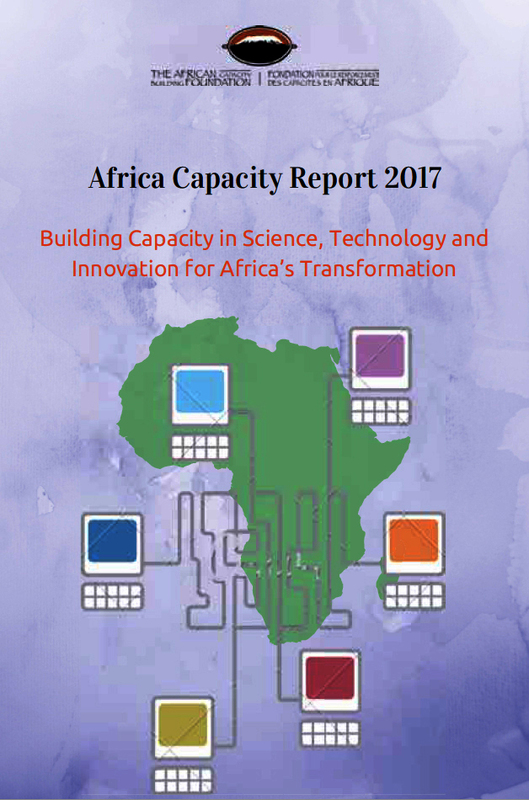 The Africa Capacity Report 2017 with the title “Building Capacity in Science, Technology and Innovation for Africa’s Transformation” is the major annual publication of the African Capacity Building Foundation (ACBF). Professor Dr. Samia Satti Nour from the University of Khartoum is a leading international expert on Science, Technology and Innovation (STI) policies. She was invited by the ACBF to be a key consultant for this project. She has drafted major chapters of the Africa Capacity Report 2017 (ACR 2017). The ACR 2017 investigates in various chapters the capacity gaps in Africa and especially so in the STI systems of Africa. In the chapter one of the report the Africa Capacity Index 2016 is presented, mentioning the top performers and the low performers. An Overview section and a Summary and Policy Recommendations chapter give a balanced view of the capacity developments and gaps in Africa and especially in the STI sectors. The ACR 2017 is rounded up by STI Annexes, African Capacity Indicators, and a Compendium of Statistics. Professor Samia Satti Nour works as an author, editor and project adviser for Volume 20 of the African Development Perspectives Yearbook, co-editing with Professor Karl Wohlmuth the Unit on “STI Policies in Sudan”. She is also main author of a synopsis of the findings of the ACR 2017 for the Unit One of Volume 20 of the African Development Perspectives Yearbook on “Basic Issues of STI Policies in Africa”. 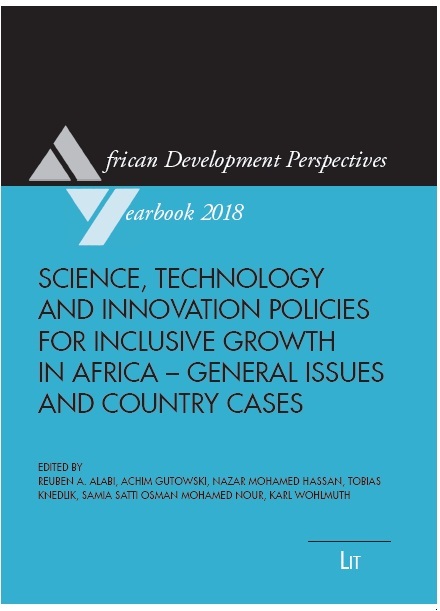 The Volume 20 (2018) has the main title: "Science, Technology and Innovation Policies for Inclusive Growth in Africa – Basic Issues and Country Cases Sub-Saharan Africa". The complementary Volume 21 (2019) has the title "Science, Technology and Innovation Policies for Inclusive Growth in Africa – Issues of Human Resources Development and Country Cases North Africa”. Atta El-Hassan El-Battahani and Hassan Ali Gadkarim are the authors of a study on “Governance and Fiscal Federalism in Sudan, 1989-2015: Exploring Political and Intergovernmental Fiscal Relations in an Unstable Polity”. Both researchers have working relations with the Sudan Economy Research Group (SERG) in Bremen and the Governance Sudan Project (GSP) of IWIM which was funded by the Volkswagen Foundation. The Sudan Report | March 2017 with the title “Governance and Fiscal Federalism in Sudan, 1989–2015: Exploring Political and Intergovernmental Fiscal Relations in an Unstable Polity” by Atta El-Hassan El-Battahani and Hassan Ali Gadkarim was published in March 2017 in Bergen by the Chr. Michelsen Institute (CMI Report no. SWP 2017:1). This report analyses the implementation and impact of decentralisation in Sudan: To what extent have the efforts to implement decentralisation policies actually devolved power and fiscal resources to sub-national levels, for the benefit of the local populations? The present research confirms what other studies have concluded: that in Sudan the centre remains the ultimate arbiter when it comes to the distribution of economic and political resources between the centre and local states and regions. Economic control and fiscal transfers in Sudan remain relatively centralised. There is no systematic relationship between actual transfers to states and poverty reduction. Government expenditures for states have increased at the same time that state-generated revenues have decreased, and a fair and equitable system of fiscal equalisation and gap-filling is absent. Finally, there exists a mismatch between fiscal decentralisation and the political set-up. 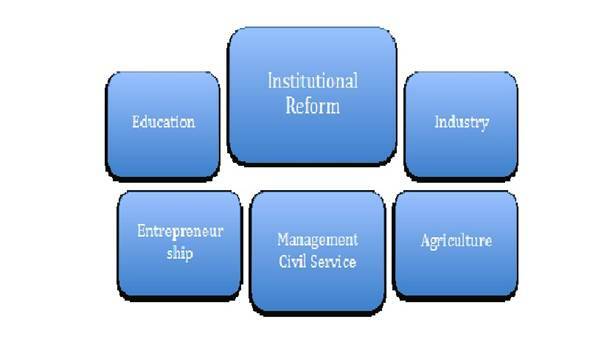 The prevailing features of governance in Sudan do therefore not embrace genuine political and fiscal decentralisation. Professor Wohlmuth was invited by the President of the UN Economic and Social Council to participate at the Global ECOSOC Conference in Victoria Falls, Zimbabwe as a speaker on “Industrialization based on Agricultural Development”. Global Meetings in Dakar, Victoria Falls and New York City emphasize the role of Sustainable Development Goal Nine (SDG 9) on Sustainable Industrialization, Infrastructure Development and Innovation. This will be an ongoing task of ECOSOC. ECOSOC has the lead in implementing the 17 SDGs. Guest researcher Professor Reuben A. Alabi extends his research stay in Bremen for three more years. The new Research Programme for 2018-2020 was recently presented as a Letter of Intentions and discussed with Professor Wohlmuth. It has three major components, comprising major policy issues of agroindustry development in Nigeria (Crop productivity, Public expenditure for agriculture at state level, and Combatting youth unemployment through agriculture development). Professor Alabi was appointed in March 2017 as a Full Professor of Agricultural Economics at Ambrose Alli University in Ekpoma, Edo State, Nigeria. The Dean of the Faculty of Economics and Business Studies of the University of Bremen, Professor Jochen Zimmermann, had extended the invitation. Professor Wohlmuth is working as a consultant and senior project adviser in these projects. Preparations are ongoing for the research visit of Professor Chunji Yun, Faculty of Economics, Seinan Gakuin University, Fukuoka-City, Japan. He will work for a year in Bremen on the research topic of “Production Integration and Labour Market Interdependencies in the European Union.” This is his second research visit at IWIM for a period of one year. The Dean has extended an invitation to him for a year. Further on, Professor Wohlmuth has advised the research project of Yves Bagna who has constructed a new “Porter Competitiveness Index”, based on Porter’s Diamond Theory. Throughout the research period Professor Wohlmuth was the main adviser to the project. The book is now published by the Research Institute of IWVWW e. V. at Berlin, and further essays on the methodology are forthcoming. Yves Bagna has also compared the new “Porter Competitiveness Index” with the long-established “Global Competitiveness Index” of the Word Economic Forum. Yves Bagna, an engineer and economist from Cameroon, has during his research also visited the Institute of Professor Michael Porter at the Harvard Business School. Also, Professor Wohlmuth was active to review a chapter for a new UNIDO book about Industrialization in Africa, in his function as the lead author of the chapter. He has also revised and extended a background paper on the issues for UNIDO. In addition, Professor Wohlmuth has peer-reviewed articles for international and African journals, such as the prestigious journal Comparative Economic Studies. As the number of African refereed journals increases, the demand for evaluations rises. Members of the Research Group on African Development Perspectives Bremen are invited to support such activities. Work on the volumes 20 and 21 of the African Development Perspectives Yearbook is progressing. On Science, Technology and Innovation (STI) Policies in Sudan, a cooperation is under way with Professor Samia Satti Nour from the University of Khartoum, a leading international expert on STI policies. The Cooperation, which is targeting on issues of “Science, Technology and Innovation Policies for Sudan”, is advancing towards a separate Unit (a collection of papers) in Volume 20. A Unit on “STI Frameworks for Africa” is prepared in Cooperation with Patrick N. Osakwe, UNCTAD, Geneva and Nazar Hassan, UNESCO, Cairo. A Unit on STI Policies in Nigeria is done in cooperation with Professor Alabi. Other Units will be prepared on issues of Human Resources Development and STI, on STI Policies in North Africa, and on Publications on STI Policies: Book Reviews and Book Notes. The Friedrich Ebert Foundation (FES) Tunisia has published four language versions (English, French, Arabic, German) of a study on “Elements of an Employment Strategy for Tunisia”. Professor Wohlmuth is one of the three authors, a joint work of three development economists working on Africa since decades. Various publications were released by Professor Wohlmuth on the middle class in Africa, on deindustrialization and reindustrialization in Tunisia, on transformative regional integration in Africa, and on guidelines for policymakers in Africa to promote global and regional value chains. A new study edited by Elke Grawert and Zeinab Abul-Magd highlights the role of “Businessmen in Arms” for the MENA region (including countries such as Egypt, Pakistan, Turkey, Iran, Jordan, Sudan, Yemen, Libya, and Syria). The comparative study was published by Rowman & Littlefield (See Contents and Cover). The contribution on Sudan was done by Professor Atta El-Battahani, a long-term co-operator of IWIM during the years of IWIM’s “Governance and Social Action in Sudan” project. The project lasted over five years and was supported by the Volkswagen Foundation; it was directed by Karl Wohlmuth and Elke Grawert. Elke Grawert is now Senior Researcher with BICC/Bonn International Center for Conversion in Bonn and Senior Lecturer at the University of Bonn (Link: https://www.bicc.de/about/staff/staffmember/member/46-grawert/ ). In this book the role of military businesses, the economic interests of retired military officers, and the web of funding of non-state armed groups in these countries are analysed. In the chapter on Sudan, a broad historical overview of the interactions between military and businesses is presented and the political consequences of the transformation of the Sudanese Armed Forces (SAF) are outlined. The role of the military in the various political regimes and phases of development in Sudan (up to the oil export economy since 1999 and the South Sudan separation in 2011) are presented. See the excerpts from the contribution by Professor Atta El-Battahani in the book (Link) and the related short study “The Sudan Armed Forces and Prospects of Change” which was worked out for CMI/Chr. Michelsen Institute in Bergen (Link: https://www.cmi.no/publications/file/5790-the-sudan-armed-forces-and-prospects-of-change.pdf ). The “CMI Insight” concludes that the current regime has led to ambiguous effects with regard to SAF; it expanded SAF’s role in the economy and in business, while at the same time it weakened it as a professional army. The consequence is that these features make predicting which role the military may take in political affairs of Sudan in the future very difficult. Starting with researches for Volume 20 of the African Development Perspectives Yearbook on “Science, Technology and Innovation Policies for Inclusive Growth in Africa” (see the International Call for Papers: http://www.karl-wohlmuth.de/files/dateien/74_international_call_for_papers___volume_20___october_2015_short.pdf ) a cooperation is envisaged to study the role of Science, Technology and Innovation (STI) Policies for the Structural Transformation in Sudan. 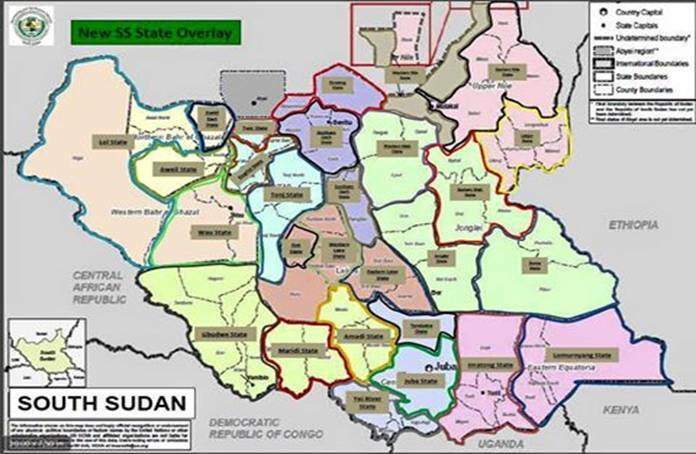 After the loss of most of its oil reserves with the Independence of South Sudan the country needs other options to transform its economy. The country is also reviving the idea of a “Breadbasket Strategy” to exploit its agricultural resources for export development, but the experiences with such a strategy are not too favourable. By using the capabilities of its researchers and engineers and the talents of its human resources potential the country may also start a move towards an STI-focused development trajectory. After its Independence in 1956 the country has inherited some important science and research institutions. Dr. Nour from the University of Khartoum is a leading international expert on STI development in Sudan and the Arab world (see her recent publications on Intellectual Property Rights in Sudan (PDF J-AJSTI-IPR), on Technological Change and Skill Development in Sudan, presenting a macro and micro level empirical investigation of skill development and technological change in Sudan with brand new primary data (see the information from Springer Publishers: http://www.springer.com/us/book/9783642328107 ), and on Information and Communication Technology in Sudan, An Economic Analysis of Impact and Use in Universities, comparing the ICT impact on private versus public universities in Sudan (see the information from Springer Publishers: http://www.springer.com/us/book/9783319139982 ). These two books by Dr. Nour on Sudan were reviewed by Professor Karl Wohlmuth in Volume 19 of the African Development Perspectives Yearbook which will appear in August 2016 at LIT Publishers. Her contributions on STI systems and policies of Arab States (see PDF Palgrave and PDF UNESCO) give a comparative view of the Arab countries’ Science, Technology and Innovation Systems. Her book "Economic Systems of Innovation in the Arab region" was published by Palgrave Macmillan, New York, USA, on 9 March 2016. Professor Karl Wohlmuth has endorsed the book for Palgrave Macmillan (see the PDF Palgrave); he has also reviewed the book in Volume 19 of the African Development Perspectives Yearbook which will appear in August 2016 at LIT Publishers. In the first phase of the cooperation between the two research groups the work on a Unit for Volume 20 of the African Development Perspectives Yearbook on “STI Policies for Sudan’s Economic Transformation” has already started. Professor Dr. Nour is advising the editors of volume 20 and is Co-Editor for the Unit on Sudan. An der Universität Erfurt fand im Januar 2016 die Fachtagung „Strukturentwicklung im Südsudan“ statt. Experten analysierten aus interdisziplinärer Sicht die akuten Probleme des Landes und Auswege aus der Krise, die durch einen eskalierenden Bürgerkrieg und eine weitere Verarmung der Bevölkerung gekennzeichnet ist. Die kriegerischen Auseinandersetzungen im Südsudan nehmen trotz beachtlicher internationaler und regionaler Vermittlungsbemühungen (von IGAD und AU) weiter zu. Auch Regionen im Südsudan, die bisher als weitgehend friedlich angesehen wurden, werden von den Auseinandersetzungen zunehmend erfasst (so im Westen und im Süden des Landes). Es ist daher sehr verdienstvoll, wenn Afrika-Initiativen an der Universität Erfurt diese Konferenz dazu nutzten, ein in der Presse fast vergessenes Thema aufzugreifen und zur Diskussion zu stellen. Bei der Tagung ging es daher auch um die Probleme, Hindernisse, Perspektiven und Möglichkeiten eines Wiederaufbaus im Südsudan. Es ist dabei insbesondere von Bedeutung, zu analysieren, welche Akteure im Südsudan an einem Wiederaufbau interessiert sind und wie ein solcher Neubeginn strategisch und operational bewältigt werden kann. Entgegen dem Wortlaut des IGAD-Friedensabkommens zwischen der Regierung des Südsudan und der südsudanesischen Rebellenbewegung hat die Regierung einseitig die Zahl der Bundesstaaten von zehn (10) auf achtundzwanzig (28) erhöht und auch schon die Ämter der Gouverneure besetzt. Diese „Divide et Impera“-Politik der Regierung führt zu neuen Verzögerungen bei der Etablierung einer tragfähigen Friedensordnung. Die Fachtagung thematisierte die Strukturentwicklungen im Südsudan seit der Unabhängigkeit des Jahres 2011 (vgl. 2016 A4-Leporello). Im Rückblick zeigt sich, dass die großen Hoffnungen des südsudanesischen Volkes nicht erfüllt wurden. Die Experten bei der Tagung waren sich einig, dass vor allem die Stärkung des Sicherheitsapparates die prägende Strukturentwicklung dieser fünf Jahre war, nicht aber der ökonomische und soziale Aufbau des Landes. Zielsetzung der Veranstaltung war es nach den Intentionen der Veranstalter, eine Bilanz der ersten Jahre der Strukturentwicklungen im Südsudan zu ziehen und einen Ausblick auf Entwicklungsperspektiven zu geben. Die Möglichkeiten und Grenzen der Entwicklungszusammenarbeit mit dem Südsudan sollten dabei mit Wissenschaftlern, Experten von NGOs, politischen Vertretern und der Botschafterin des Südsudans kritisch diskutiert werden. Die Veranstaltung ist Ergebnis einer Kooperation der Hochschulgruppe SOS-Darfur mit der Universität Erfurt und der Stadt Erfurt, der evangelischen Landeskirche, dem Studierendenrat, der Stiftung Nord-Süd-Brücken sowie der Rosa-Luxemburg-Stiftung und der Heinrich-Böll-Stiftung. Der Sudanexperte und Entwicklungsökonom Professor Karl Wohlmuth referierte über die ökonomischen Entwicklungen im Südsudan seit 2011 und zeigte auf, was getan werden müsste (im Sinne von strukturverändernden Strategien) und was aktuell angesichts der derzeitigen politischen Lage getan werden kann (wenn auch nur lokal und mit angepassten Ansätzen der Entwicklungszusammenarbeit). Vgl. dazu die Präsentation (PDF: Wohlmuth-Südsudan-Erfurt) und die Synopse (PDF: Wohlmuth-Abstract-Erfurt) zum Vortrag von Professor Wohlmuth. Der Vortrag zeigt auf, dass die großen ökonomischen Chancen und Potentiale des Südsudan seit 2011 nicht genutzt wurden, dass aber dringend Wege gefunden werden müssen, um die Grundbedürfnisse der Bevölkerung zu realisieren, etwa durch lokale Ernährungs- und Beschäftigungsprogramme. Diesbezüglich werden auch konkrete Beispiele aus der Entwicklungszusammenarbeit betrachtet; diese zeigen, dass auf lokaler Ebene durchaus Handlungsmöglichkeiten bestehen. Es ist vorgesehen, die Beiträge der diesjährigen Südsudan-Tagung zu veröffentlichen, da sehr wenig Information über die Entwicklungen in diesem Staat und über die Lage der Bevölkerung vorliegt.